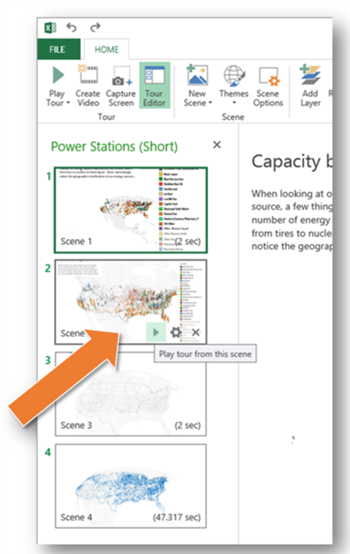 Today we announced the Power Map November update, that adds a new feature requested by many Power Map users: the ability to play any tour directly from any scene. Before this update, if you wanted to check how a specific scene looked, you would have had to run the whole tour from the start. For instructions on how to use this feature, check the official announcement at the Excel Blog.